Fully qualified in all aspects of Tilling to full European standards and have carried out work for London Underground. Delighted clients with stunning results. FREE, no obligation estimates, design service, supply & fix or supply only. All of our work is carried out to The guidelines of the British Ceramic Tile Council and fully backed by linsurance and fully guaranteed. 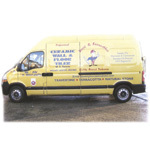 Quality assured tradesman Our work carried out across UK Europe – references can be supplied. Kitchens [Domestic & Commercial), Bathroom, All Flooring areas inside & out, Swimming Pools, Wet Rooms Specialists – Any bespoke one-off design. & Supply & fit. For the jobs other people cannot do – All products supplied exceed British Standards.